This criminal group emerged to protect the famous drug trafficker. They are called “Gente Nueva” and their members were trained to kill in the cruelest manners; they decided to join the narco-trafficker’s side, the Sinaloa Cartel , most of them after serving for some time with he Army or the Federal Police . The main enemy of “Gente Nueva” is the Juarez Cartel , which in turn has its own armed wing : “La Línea” . Both organizations, “La Línea” and “Gente Nueva” , have carried out bloody confrontations that have increased violence mainly in Chihuahua. However, the first appearances of this criminal group were in Veracruz , when two bodies allegedly of “Los Zetas”appeared with messages signed by “Gente Nueva”. “‘El Flaco”, the founder of ”Gente Nueva”, is an old acquaintance of ”El Chapo”. It began in 1995 in the world of crime under the protection of the famous drug trafficker until later became an armed organization now recognized by this name. 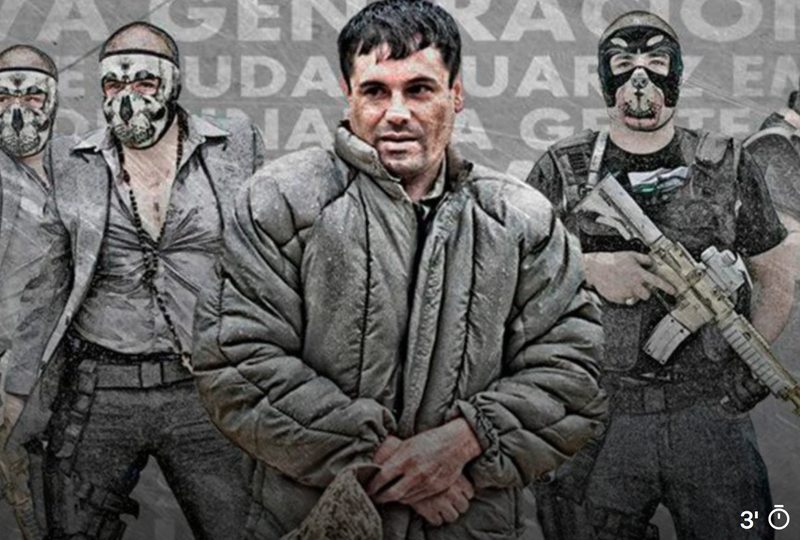 Its members are between 20 and 30 years old and resigned their positions in the Mexican security forces to join a criminal group allied to the Sinaloa Cartel which was led by ”El Chapo”. Once they were integrated into the ranks of the Sinaloa Cartel they became responsible for the protection of the most wanted man in America at that time. As an organization, they allied themselves with ”El Chapo” Guzman Loera in 2007 and, according to the Drug Enforcement Department US (DEA, for its acronym in English) are extremely loyal to the leader of the Sinaloa cartel. In addition to protecting him, they had the mission of defending the interests of the organization, which means confronting other organizations dedicated to drug trafficking in bloody wars. Not only does its structure resemble that of a military corps, but the 5,000 members of this group wear soldiers’ clothing and carry high-caliber weapons that they are willing to use at any time. Currently, seven ringleaders of the “Gente Nueva” are identified, of which Ruperto Salgueiro Nevárez “El 37”, brother of “El Flaco” stand out; Antonio Amado Núñez Meza, “El M11”; and Francisco Arvizu Márquez “El Jaguar”. Also appearing: Eddy Zafiro Ibarra, “El Zafiro”; Antonio Leonel Camacho Mendoza; Lorenzo Antonio Morales Pérez, “Tony Tormenta”; and Melquiades Díaz Meza, aka “El Chapo Calín”.